Hi. 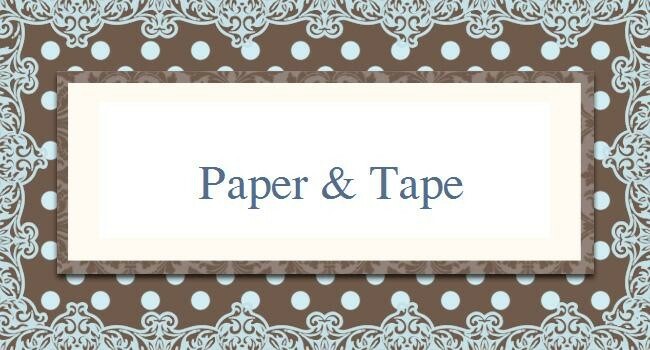 This challenge made me think outside the normal supplies for scrapbooking. The challenge over at Kraft Plus was to create a LO that incorporated paint swatches. I decided to opt for a photo of my boys meeting their new little cousin. I used the paint swatches to create the hearts through my cuttlebug. I was pretty happy with the end result, although for some silly reason my camera was playing up and refused to give me a nice clear photo of the papers!! 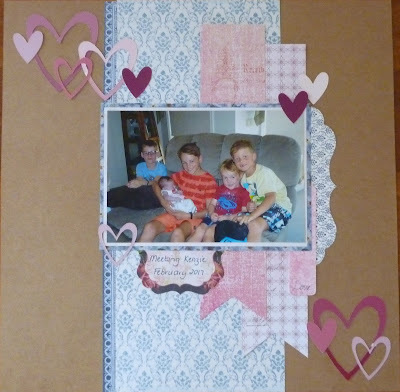 Your layout is so lovely, what a great photo and clever idea to use your paint swatches in your die cut machine! Thanks for joining in with Kraft+ this month! It's lovely to see the cousins meet. Our little Grand boys love their Baby girl cousin. A heartwarming page. Thanks for joining us at Kraft+ this month.